Primitive Painter - "Armadillo In The Snow"
Pure Electronic music with samples is what you get in this 20 minute EP. Dark, moving, melodic, sad, a lot of emotions are created in the music. 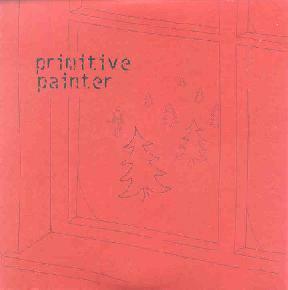 Primitive Painter, though nothing is mentioned, is one guy from Belfast, Ireland. The label is based in Manchester, England. "Armadillo in the Snow", the opening track starts with a repetitive piano line before the thumps roar on in, but they are used more to sort of shake the ground and move the music around in your head than to get you up and dancing, although I am sure some will try. The sound is very wintery and the panning of the synth line across the speakers makes it quite spaced out. "Mantra" is more like early Eat Static. The third track, "Peoples Parasite" has some Tony Blair samples and something about the US being the only Superpower. Strange track with the chimes and piano lines and these political samples. "Foetal Attraction" closes the EP. Strange, compelling, mood music. What more can I say?? For more information you can visit the Dead Digital web site at: http://www.deaddigital.com. Contact via snail mail c/o Dead Digital; PO Box 94; Manchester; M19 3WY; England.